Overlander brings together four of Australia’s leading musicians in an entirely unique union — the funky rumbles of didgeridoo super-star William Barton, the dulcet tones of singer/songwriter Mel Robinson, the boundless charm and wit of composer/performer extraordinaire Iain Grandage, and the voluptuous strength and energy of percussionist Claire Edwardes. The program will feature works composed and arranged exclusively by members of the group. 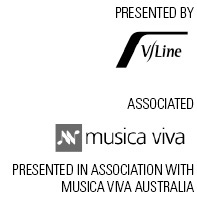 Each musician has a different take on the Australian musical landscape and together their works combine to form a rich tapestry of sonic colours.